Be prepared to dig deeper than ever before! With a Minelab Gold Detector you'll find the elusive gold nuggets that others are missing! 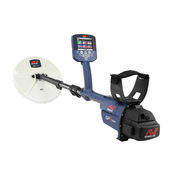 From the entry level X-TERRA 705 Gold Pack to the ultimate GPZ 7000, Minelab has the right gold detector for you.